For Jordan Spieth, Jason Day and Justin Rose, the front nine Friday morning at Chambers Bay (their second nine) was different than most nine-hole rounds, and not just because of the overstated fact that these guys are, indeed, really good. That nine was bookended by two rare instances for Day; one worth celebrating, the other worth lamenting. In between were several other interesting moments. Day finds the right greenside bunker with his second shot into the 600-yard, par-5 first hole. The lie requires a touchy third shot that will roll some 40 yards down a slope if it so much as passes the hole. Day hits it a bit too far and is left with a nerve-wracking fourth shot that has rolled all the way down the hill. Here’s what happened next. This shot got the crowd cheering so loudly and for so long that Justin Rose’s caddie, Mark Fulcher, eventually had to quiet the spectators multiple times so Rose could putt. Rose and Spieth also birdied the hole. Day stands over a 25-footer with right-to-left break over a ridge as a foghorn goes off several times from Puget Sound behind him. No problem. He drains it. The tee box on the fifth hole is one of the highest points of elevation on the front nine. Walking down from the tee, Spieth starts running down the steep path that flanks the right side of the hole. With a kiddish smile he goes out of his way to run and jump in the portions with the most sand, like a toddler stomping around in a sandbox — except he’s tied for the lead at the U.S. Open. To the left side of the sixth hole is the biggest gallery I’ve seen on the course. A group about eight people deep spanning over 150 yards starts giving Fox Sports on-course reporter Natalie Gulbis a round of applause as she walks up the hole. I didn’t get the sense they were cheering her announcing skills. The long, uphill par-4 seventh is not kind to this group. Rose hits the best tee shot, with Spieth in the right bunker and Day in the left fescue. But Rose chunks his second into the bunker short of the green. Spieth hits the back left part of the green. Day finds the same bunker as Rose. At this point, the group is a combined five-under on the day. A few minutes later and the group is only a combined one under. 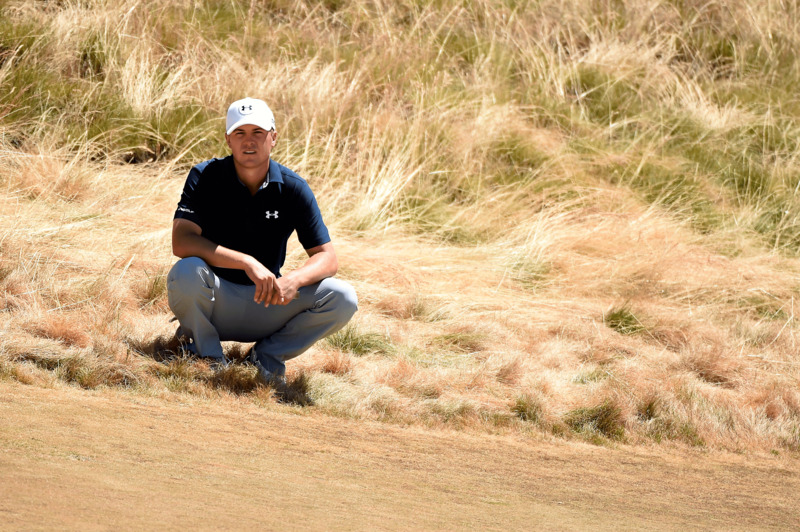 Spieth makes bogey (three putt), Rose makes triple (three shots to leave the bunker) and Day makes par. Ouch. The eighth hole goes by without issue; Day and Rose both make birdie. But the ninth hole does not. Each player finds the green with their tee shot, and as all three approach the green the crowd begins cheering loudly for Spieth, who is the closest to the hole. All of a sudden the crowd goes silent, as Day has collapsed on an embankment next to the green. It’s not immediately clear what happened, but given his recent brush with dizziness and vertigo—he withdrew from the Byron Nelson because of those issues—that’s the assumed cause. In a classy move, Spieth shoos photographers away and authoritatively tells fans and media not to take photos. Day is attended to by medical staff for a few minutes and eventually is helped up. 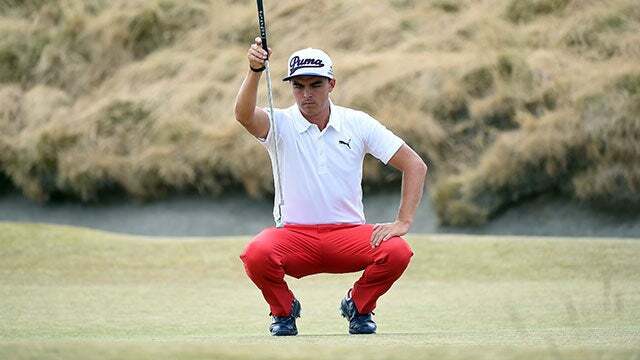 He’s got just enough strength to blast his second shot out of the bunker and two putt for par, after which he takes a knee with one hand on his head. His wife, Ellie, and two others help him off the course and he receives further medical attention. The group leaves their 18th hole to a deafening round of applause, only a small amount of which is for Spieth’s birdie and three-under 67.